You are here: Home › News › Blog › What information do you really need to know from your participant? What information do you really need to know from your participant? My first duty as a rookie PE teacher in disability sport federation was to organise a swimming camp for disabled kids. It was 1990. There was the general delusion that knowing diagnose, medical status, therapy goals and contraindications to physical activity provides the APA-professional with all the necessary information. In practise, the medical intake forms made the kids look more difficult and multi challenged than they really are. From learning to swim point of view that information was of limited use. Since that day I’ve challenged the medical model way of gathering data. 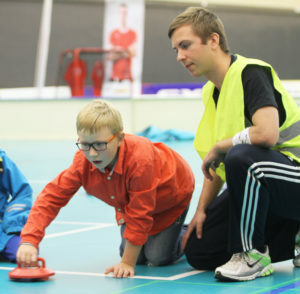 The aim of the Finnish PAPAI-pilot was to increase physical activity among disabled children and young people and to help them find a physical hobby. 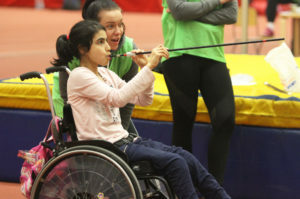 During 2016, a model in which a personal consultant or an instructor, a PAPAI, assists a child or a young person with special needs to engage in hobby was tested in Finland. 19 vocational schools and universities across Finland, with about 300 children and the same number of PAPAI students participated in the pilot. The results were promising. 54% of those who participated in the hobby try-out found a new hobby and 61% are now more physically active than before. Instead of asking the medical condition of the participant we chose to apply the Washington Group questions at the intake. The Washington Group questions are in accordance with the International Classification of Functioning, Disability and Health ICF framework (WHO, 2001). The participant’s ability to function was evaluated by the caretakers in six fields (seeing, hearing, moving, concentration, taking care of yourself and communication) on a scale from 1 to 4, in which 1 means no difficulties, and 4 means not able at all. By collecting information on functional ability, we hoped to see if there are differences between the participants’ functional limitations and finding a hobby. The transition from the medical language to functional language was not easy to all PAPAIs. For instance, in the therapy world diagnoses still matter. When meeting the participant for the first time they were advised to ask for more information. Getting to know each other personally, and gaining mutual trust is key to become a co-operative PAPAI-pair, and thus to the success of the program. As professionals and coaches in the sports field all we need is mutual trust and this simple question to the participant: Is there something that I need to know about you that is relevant to this task? But as developers and researchers we are responsible of collecting some numeric data to prove that our programs work. Moreover, if we want to improve our programs we should understand the mechanisms of success or failure of our interventions. That’s where Washington Group -type of questions will come in handy. 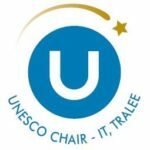 More information about the Finnish PAPAI can be found in VAU’s (Finnish Sports Association of Persons with Disabilties) website. 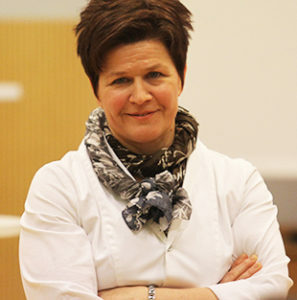 Dr. Saari has worked in disability sports and adapted physical activity for more than 25 years. She has passion for inclusion at all levels of sport.